If you pick your own apples in the fall, you will most certainly pick loads more than you can ever eat fresh. One way to use some of them up is by making apple butter. This is such an easy recipe using the crockpot to cook down the apples. Start it in the morning so you can check on it all day. It’s a great weekend project that will make your house smell amazing! My kids have gone nuts over homemade apple butter. They eat it on bread and toast, and it's really great on bread with a slice of cheese as a snack. Use more or less sugar depending on the sweetness of the apples you have. Also the final product is so concentrated and flavorful that only a small amount is needed to give your toast or oatmeal a sweet and flavorful punch. This year I tried it in my Instant Pot pressure cooker and it came out so much faster. I even kept the peels on the apples which cut down my time quite a bit. Sterilize some jars by boiling them, for about 10 minutes. 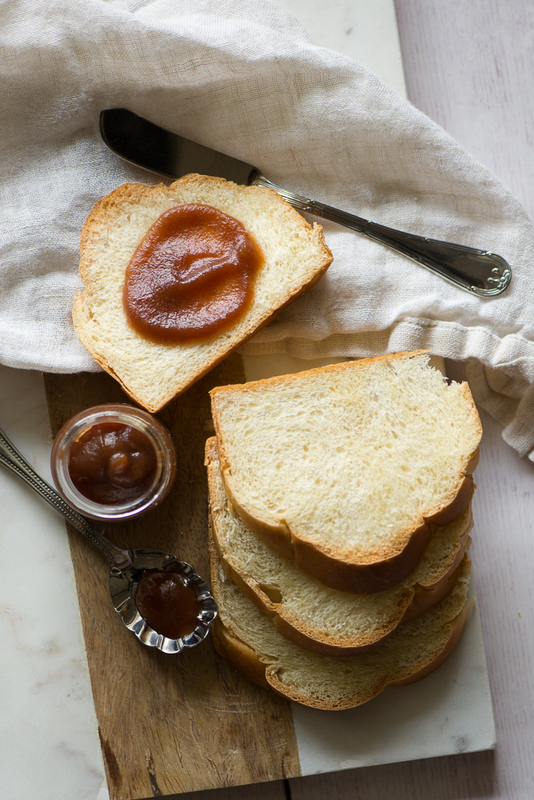 The apple butter can be stored in the fridge, and stocked up in the freezer to use as needed. The jars make a great hostess gift, too. Place ingredients in a crockpot and cook on high for 1 hour with lid on. Reduce heat to low and cook another 9-10 hours. Stir occasionally. Remove lid and cook on high with lid off for the last hour. Use wire whisk, immersion blender or regular blender to remove lumps. If you are using a pressure cooker like an Instant Pot, put apples in with 1/4 cup water. Place on Manual for 15 minutes then use a natural release. Blend until smooth and then place back in the instant pot and sautée on low for another 20-45 minutes to get to the desired consistency. Place in sterile containers, over and store in the refrigerator for 3 weeks or freezer for 3 months. Spread on bread, or stir into hot breakfast cereal.